Insurance is a must if you own a car. Literally: it’s illegal to drive a vehicle unless it’s insured in some way. Unfortunately, insurance doesn’t come cheap. It’s a serious factor in the cost of owning a car. However, having insurance is still a much better option than not when you’re in an accident, especially if it’s one that causes injuries. Yet when you’re on a low income, paying for insurance for your car can be incredibly taxing. Thankfully, there are a few ways that you can plan to keep your insurance costs a bit lower if you’re on a tight budget. While your insurer matters a lot, so does the car you’re trying to insure. For example, if you own a sports car with a V8 engine, you’re going to be considered a high-risk client (not to mention the fact that you shouldn’t be springing for a sports car if you have a low income). Cars that have high safety ratings, like most sedans, tend to be most friendly to insurance companies. Big engines and anything particularly sporty raise red flags when you’re being insured, which in turn raises your premiums. Even the color of your car can be a factor, along with the age of the car, and the age and gender of the primary driver. Sorry guys, but insurance goes by the numbers, and the numbers suggest that young men are more likely to be in an accident. Your insurance is going to cost a little more. They may not be ideal, but there are other ways to get your costs down. Raising your deductible (the amount you’ll have to pay in any claim) will lower your monthly payments, but it also puts you on the hook for more money if you’re in an accident. If you’re able to squirrel away some money into a separate account as a just-in-case fund, then this might be a good route to travel. Another option is dropping some coverage. Each state has minimum coverage laws, so you may be able to drop part of what you’re currently covered for in order to lower your payment. However, this can also mean that if anything really bad happens to your car, you may be out of luck. Again, if you can save some of the money you’re making, you’re in a fine spot. Otherwise, you may find yourself up the creek without a paddle. 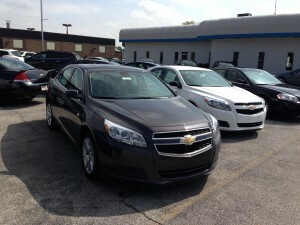 To see local specials on affordable cars in Indianapolis, check out www.DriveHubler.com for cars under $10K! Posted in Insurance, Laws and tagged Automotive, Insurance, Low Income.